A proud couple have given birth to a set of twins – believed to be the heaviest ever born in Scotland with a combined weight of nearly 17lbs. 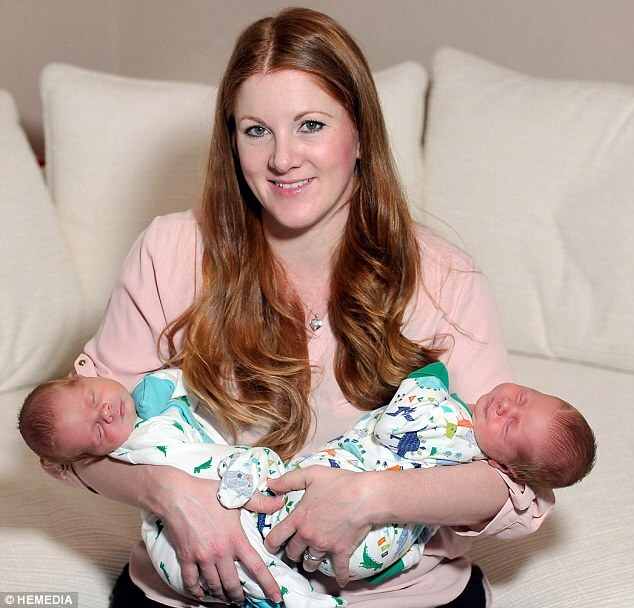 Doctor Alanna Merrie, 33, and her husband Paul, from the Newington area of Edinburgh, knew they were expecting twins but not that they would have a pair of record breakers. Their boys, Troy and Kaius, are now thought to be the biggest in Scotland after tipping the scales at a combined weight of 16lb 13oz – nearly 7lbs heavier than most twins and the average weight of a six-month-old. 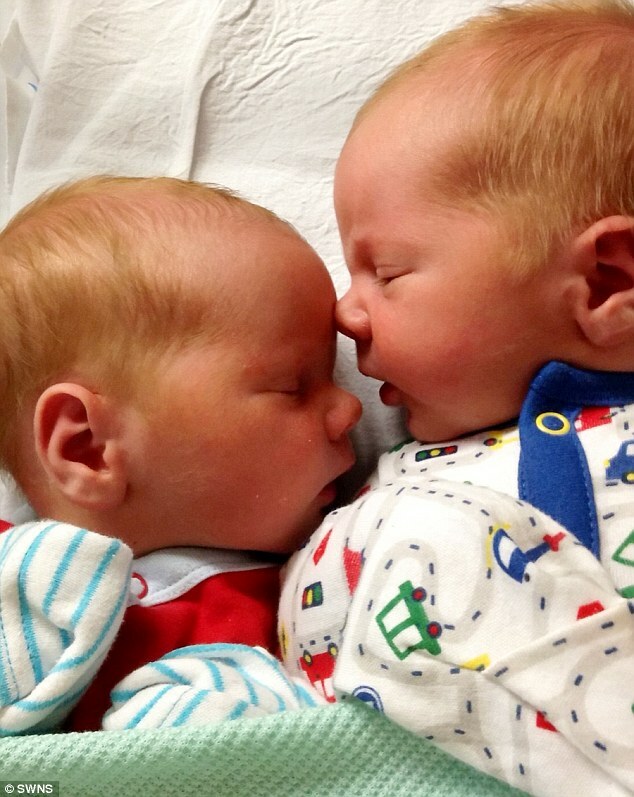 The brothers were born by caesarean section and astonished midwives with their size at Edinburgh Royal Infirmary on November 4. They weighed 8lb 12oz and 8lb 1oz respectively. Alanna and Paul were able to take their sons home last Thursday night after spending a week in hospital. The twins’ mother Alanna is waiting for confirmation of the record as to whether they hold the title of Scotland’s heaviest twins. Alanna knew the twins were going to be heavier than average – around 5lb – as she sported a huge bump while pregnant – but she didn’t realise just how big they were going to be. She said: ‘The scans said they were good sizes and the midwives told me they were growing well. Alanna and her husband Paul were perhaps destined for a twosome with a history of twins on both sides of the family. Alanna said: ‘My dad had brothers who were twins and there are twins on my mum’s side as well. Alanna didn’t buy her sons any clothes before their birth as she wasn’t sure how big they would be. She said: ‘They have quite big feet and big hands. ‘I didn’t buy them anything because I didn’t want to risk having to take things back because they didn’t fit them. Paul, a 39-year-old personal trainer, spoke of the couple’s delight at their new additions. He said: ‘We have a lovely little daughter and now that we have boys, it’s a complete package.